For close to 40 years, Kenyan athletes have been revising expectations in middle and long distance running, with occasional forays into the 400 metres and hurdles and perhaps more surprisingly the javelin. I intend no insult when I say that the latter are welcome departures for what is essentially still a third world country, since success elsewhere than in running, for which the Kenyans (and neighbouring Ethiopians) appear to be preternaturally gifted by dint of living and training at altitude, implies a sophistication that can only lead to a more rounded team representation in future.  That said, the Kenyans had not had a great World Championship until last night’s culminating events, the greatest blow to their pride being winning fewer medals in their steeplechase speciality than the USA, a hitherto fringe nation in the event. But the final evening on the track will have gone a long way towards consoling fans and federation. It takes a special talent to compete with runway 10,000 metres gold medallist and world record holder, Almaz Ayana of Ethiopia. But Hellen Obiri was up to it in the 5000 metres. The Kenyan did have the advantage of having won Olympic silver last year when Ayana took bronze. But the Ethiopian was the reigning 5000 champion, and went about defending her title with a will. It may be the overuse of pace-makers on the international circuit, but there is more than a sense that many if not most of the elite middle and long distance runners nowadays just don’t know what to do when there is no one out there doing the work for them. Ayana grasped the nettle after a sedate first lap, and streaked into the lead, as she had done, with little response in the 10,000 metres. But this time Obiri followed, and followed, and followed, as they went further and further away from the pack. 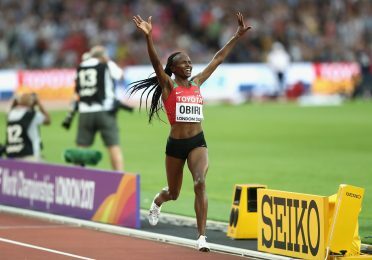 There is a basic dereliction to being a hanger-on but if, as was the case, Ayana simply refused to concede the lead, then there is no shame in waiting your moment; and to Obiri’s credit, she didn’t wait ‘til the final straight. She surged past Ayana with 300 metres to run, and put substantial daylight between herself and the Ethiopian by the finish. A brief hiatus while Caster Semenya once again made a mockery of the opposition in the 800 metres, winning with ridiculous ease by five metres while going away, in one minute 55.16sec, a time which she could clearly reduce by up to five seconds in the considered opinion of my post-event drinking partners (don’t scoff, they are/were all elite runners), before attention turned to the men’s 1500 metres, an event close not only to my heart but that of generations of Brits. Harking back to the problem of lack of pacemakers, it was clear from the moment they stepped out on the track that the three Kenyan representatives looked like they had a plan. They went into a huddle in the middle of the track then strode off purposefully to the start as if they were on the way to the OK Corral with every intention of coming back. Well, two of them did, the only casualty being the three-time former champion, Asbel Kiprop who faded out of the picture when his compatriots ratcheted up the pace on the final lap. After the trio had dominated the race throughout, effectively making it two races, since they were ten metres and more ahead of the chasers, the fastest man of the year, Elijah Manangoi fully justified that accolade by kicking past his colleague, Timothy Cheruyiot, to win in 3min 33.61sec. The young Norwegian, Filip Ingerbritsen made the best of the attempt to catch the runaway East Africans, and was rewarded with bronze. He expressed his dissatisfaction immediately afterwards. A representative of the beleaguered first world fighting back? Now that’s the sort of attitude you like to see. If you have enjoyed the coverage this week of the IAAF World Championships, or even if you haven’t, check out my book on Emil Zàtopek, link below.